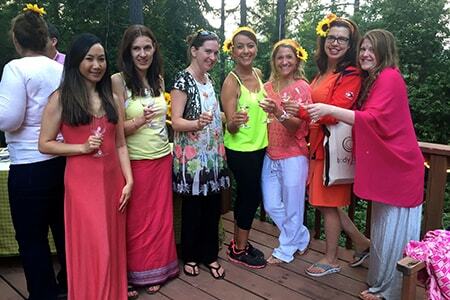 Harvest Weekend Yoga Retreat with Hiking & Wine Tasting! 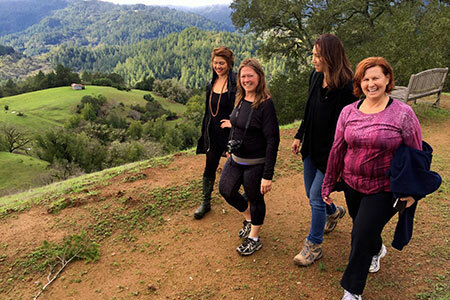 The purpose of our retreat in beautiful Sonoma Wine Country is to enjoy the Harvest season in nature, including yoga, meditation, hiking in nature, nourishing food, and onsite evening wine tasting. We hope to create a space for you to relax, rejuvenate and renew and open yourself up to new possibilities in your life, while also meeting new friends and having fun. 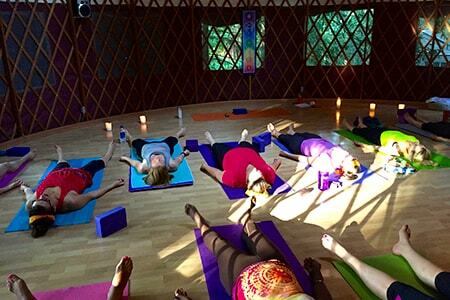 The yoga classes will be a blend of Hatha and Vinyasa Flow, linking movement with the breath, moving your body through both power and restorative poses, available for all levels. 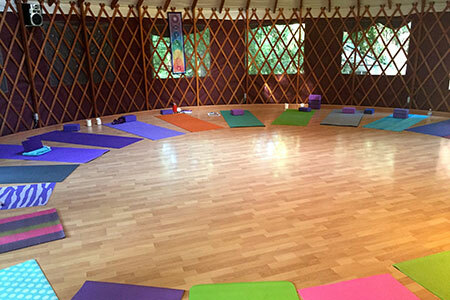 The classes will be theme-based, creative and balanced and will incorporate pranayama (breathing), strengthening, stretching, detoxing, energizing, and meditation. 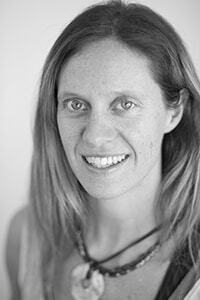 You will experience a safe and nurturing practice, leaving you feeling relaxed yet energized. All levels are welcome and encouraged. We look forward to meeting you! 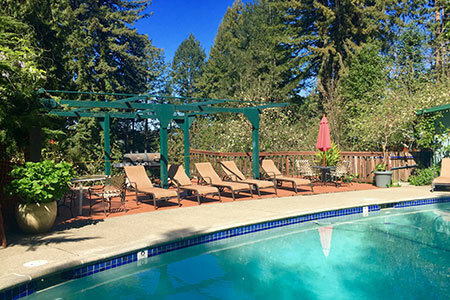 Free time to explore, relax and soak in the pool and hot tub! Additional services: massage or Reiki sessions can be booked during your free time for additional cost. 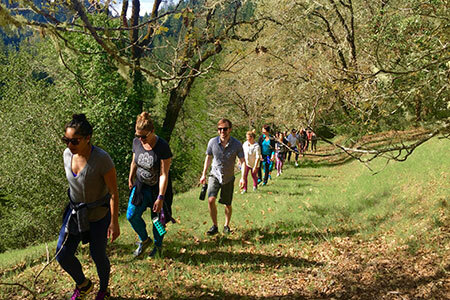 The retreat will be held at the tranquil, rustic and stunning Wildwood Retreat Center in Sonoma County, California, just 1.5 hours drive north of San Francisco, in the heart of Russian River, delicious Sonoma wineries, and surrounded by miles of trails for hiking. Wildwood is a sanctuary for healing, transformation and spiritual growth, and is known for nourishing the physical and emotional human spirit for all those that spend time on the land. 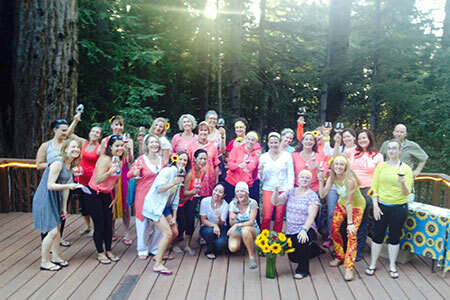 The retreat center sits atop the Cazadero mountain and has a rich history of healing. Wildwood is not a spa nor a hotel! 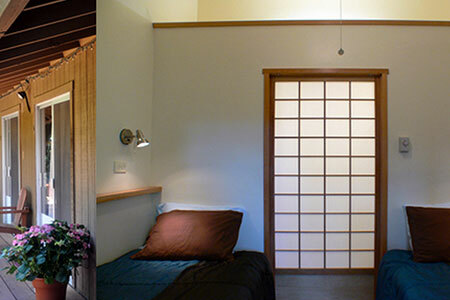 The rooms are simple and small, with two twin beds and a small private bathroom. Please bring your own shampoo, conditioner, soap and hair dryer if you desire. 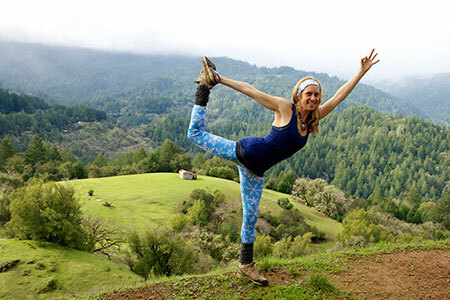 Wildwood is best discovered for it's stunning views, redwood forest, nature trails, and spiritual healing energy. 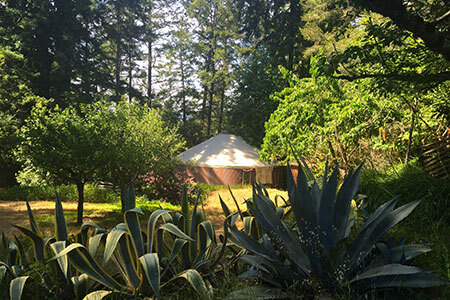 We'll practice yoga in a beautiful yurt in nature, and enjoy soaking in the onsite outdoor pool and hot tub. Our group will have exclusive use of the retreat center during this retreat. 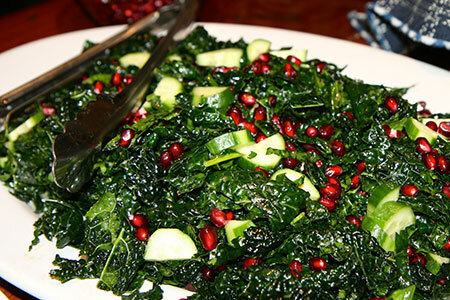 The closest airports are Sonoma County Airport (30 mins drive), San Francisco (SFO) Airport and Oakland (OAK) Airport. 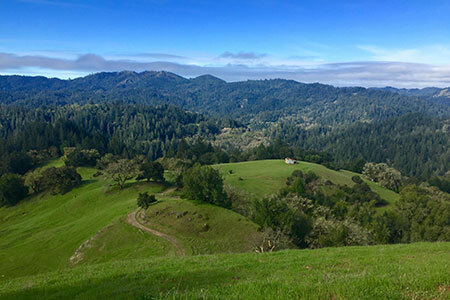 SFO and OAK are approximately 1.5 hours drive from the retreat center. Transport to/from the retreat is not included. Driving directions will be provided. There are 2 accommodation options. 1) Cabin rooms are basic and small with 2 twin beds and a small private bathroom and may be shared with one other person or you can pay a single supplement for a private room on your own. All rooms are close to the dining area, lounge, pool and hot tub, with views either over the gardens or the forest. 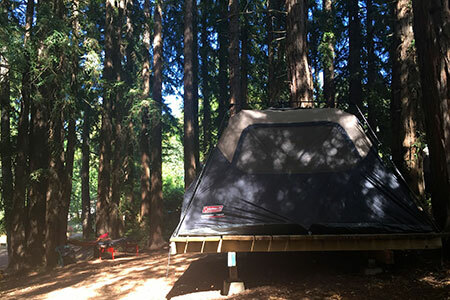 2) Tents are nestled on platforms under the redwood trees, furnished with twin size cots, comfortable mattresses and linens. 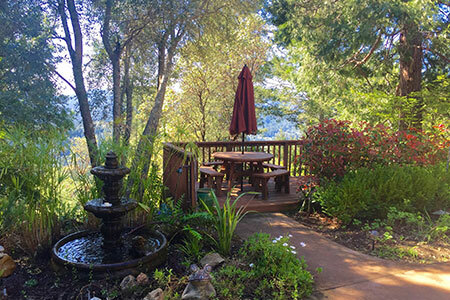 They can accommodate 2 people and are located close to the main lodge, with views across the valley or into the forest. Shared baths are located conveniently nearby. Linens and towels will be provided. Please bring your own shampoo, conditioner, soap and hair dryer if desired as they will not be provided. Wildwood is not a spa nor a hotel. 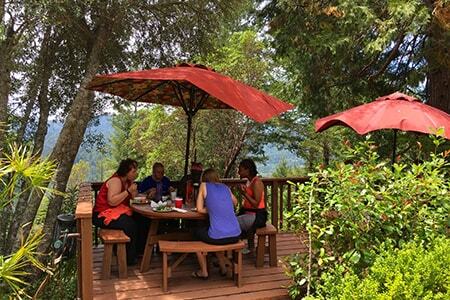 It's a beautiful rustic retreat center in nature with incredible healing energy and a welcoming spirit! Mention your group's name on the registration form. 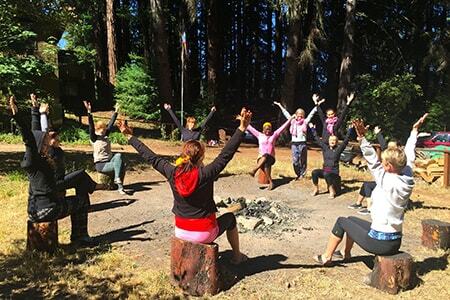 We look forward to meeting you and sharing this wonderful journey of yoga and nature with you!